When Waltraud Gebert-Deeg was elected to the parliament in 1964 women were hardly represented at all in the political life of South Tyrol. 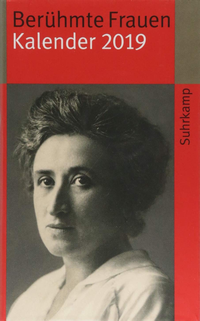 As the first woman in the South Tyrolean Volkspartei (People’s Party; SVP) she took on important tasks and held high political offices. She took her campaign slogan – “Speak for those who have no voice!” – seriously, and in turn was highly appreciated by the populace. Many sought her help, and she was always open to human and social concerns. Before she entered politics she taught elementary and later middle school. She was quite familiar with the cares and worries of families during the postwar era; after all, as the oldest of ten children she had been forced to assume the role of parent to her younger siblings after the early deaths of her father and mother. Welfare and Healthcare System After ten years as a member of parliament Waltraud Gebert-Deeg served for twenty years in the South Tyrolean government starting in 1974; she was in charge of the important and challenging area of welfare and healthcare. None of her male colleagues was willing to take this area on, since at the time hardly any administrative structures or arrangements for it existed. Moreover, the public healthcare system, rather shoddily maintained by the central state up to the 1970’s, was due to be put under the authority of the Autonomous Province of Bolzano, and a modern healthcare system had to be developed. She took on the task and bought her ideas to fruition with idealism and hard work. 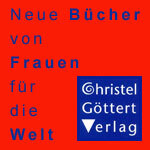 Many South Tyrolean women’s projects were also initiated by Waltraud Gebert-Deeg. Her political activity was directed toward the social and political improvement of woman. She helped single women and widows and took up the concerns of working-class families with many children. If there was no money in the relief fund she reached into her own pocketbook. She advocated for healthcare of mother and child, family counselling centers, childcare centers and for suitable support for the disabled. She held the conviction that policy affecting women should be planned and carried out by women. Gebert-Deeg was a founding member of the White Cross, the Catholic Family Organization, the Organization for Children’s Playgrounds and Recreation, and the South Tyrolean Cancer Society, as well as honorary president of the Landesverband der Lebenshilfe (State Organization for the Disabled). When she was buried in the Bruneck cemetery on 3 February 1988, shortly after her 59th birthday, the funeral procession was unending. Mourners came from every corner of the land to say farewell to this great woman and political leader, who had always put people at the center of her politics.